NEVER FLOODED. 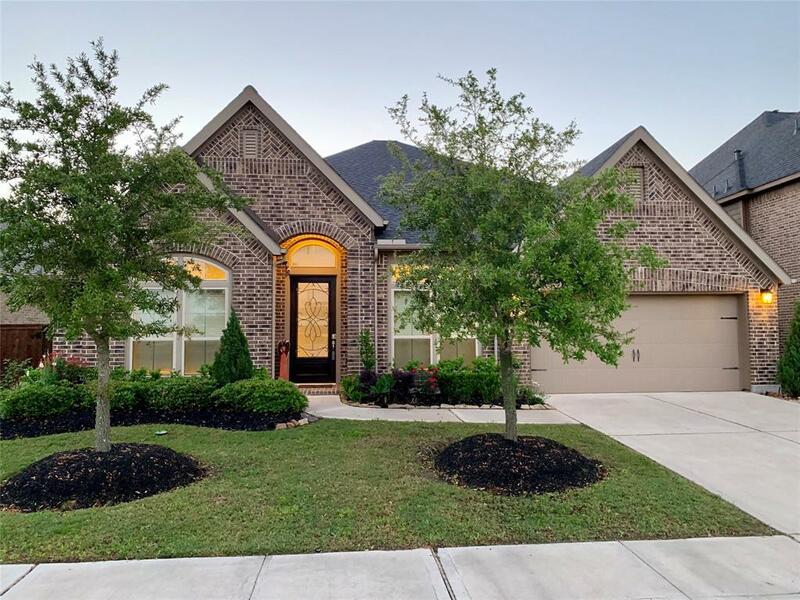 Welcome home to this luxurious 1 story Perry Home located in prestigious Cane Island within walking distance to Katy High School. 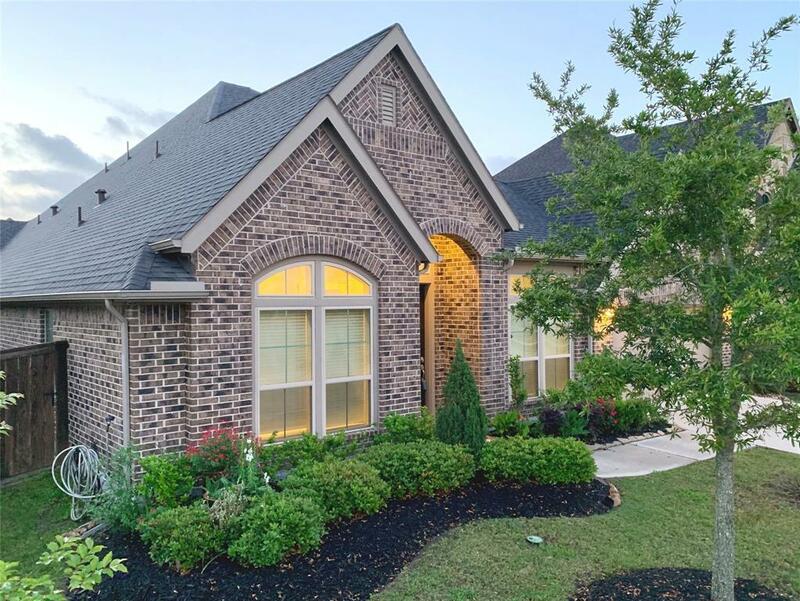 The popular 3257 open plan on a 60' lot boasts 13&14 ft ceilings, huge chef kitchen, media room and 3 car garage w/240 volt plug for electric car. 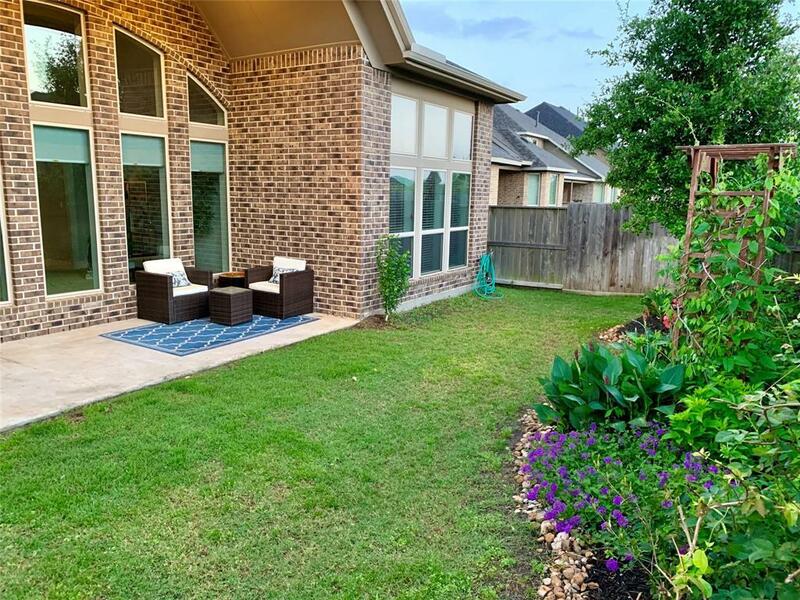 Located on a quiet cul-de-sac it's a six min walk to the Amenity Village (w/full time events coordinator), beautiful lakes and walking trails. 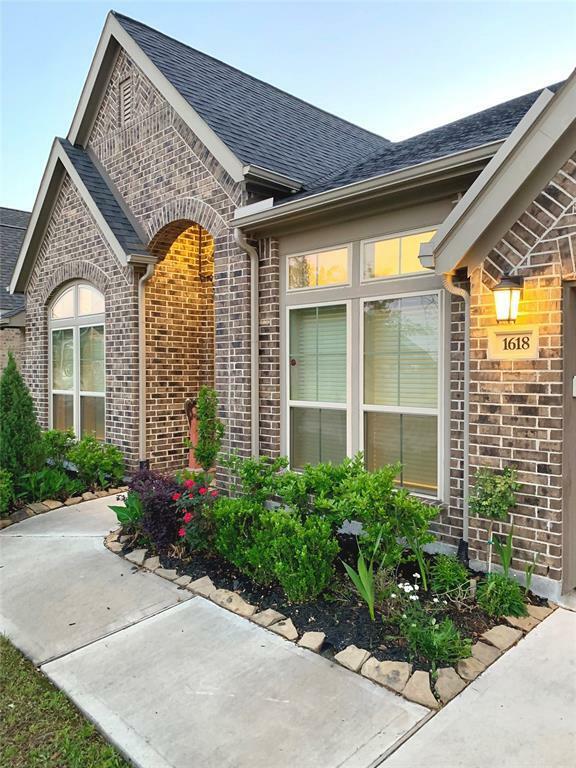 Inside designer touches: custom lighting with dimmers, 8 ft doors, ss appliances and upgraded cabinetry, backsplash in kitchen, granite and quartz countertops, custom Roman blinds, designer wall paper and accent painted walls. Large family room features a gorgeous cast stone fireplace and a wall of windows facing a lush garden supplying ample natural lighting. The Spa Master Bath has Carrera marble counters and a jetted garden tub. Outside security cameras front and back, custom gutters and an amazing garden designed for pollinators w/full irrigation system.